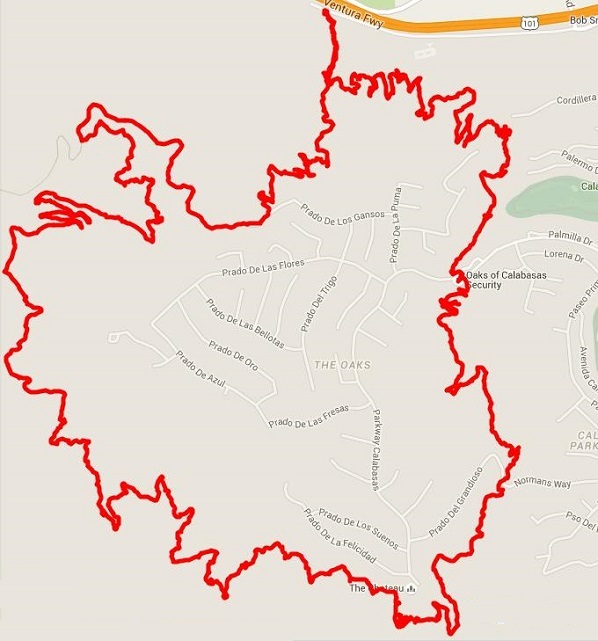 18 mile loop in the Calabasas Area. Except for the dirt Gun Club Road, these trails are all singletrack with a firm and fairly smooth tread. There is lots of climbing to complete this loop and many very tight switchbacks to negotiate. Of special note are the Pyramid Switchbacks and the Too-Tight Switchbacks. Exit Freeway 101 at Las Virgines. Go South to Bark Park. Trail head parking available at Bark Park.